New 11258 distilled networks released. The smaller end may work well on Raspberry Pi, the higher end is intended for CPU. Thank you! On my slow PC, the 48x5 runs very well, and is not bad. Surprisingly good results in the analysis mode. Surprisingly good results in the analysis mode. Can you say more about what are "surprisingly good results"? The net 48x5 is very good compared to its size. The 48x5 network makes on my 2x2,4 GHz i3 1-2 kn/s. This gives a Lc0 Ratio of about 1 against Rybka 4.1 with 1 core. Of course this is not the same as with a big network. But should there be an Lc0 for Android, then this little NN would be fantastic! Currently running on my PC a match against Rybka 4.1 x64 (1 core). Time control is 30+10. Rybka leads 3-2. 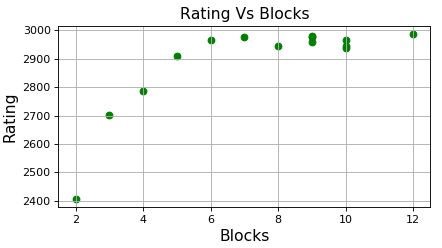 But, Lc0 (48x5) is clearly better in the opening and middlegame! I see that the bonus time for Lc0 is too little. Lc0 makes about 60 moves, then Lc0 has to play the rest with bonus time. We will see how it is after 20 games. Then I will post some games and analyzes. Can you define distilled networks? Does this mean you are testing networks for best performance on cpu only (open blas backend)? Does anyone know how fast the 48x5 is with an RTX 2080ti or similar? MM50 (Mephisto) port vs Lc0. Net I used was 16x2 btw. Thanks for creating these nets. Am trying to find the best net according to my old cpu (i7-2600K 3.4 Ghz), so will be using a blas backend. I found 64x6 to be the best so far. Rating list refs are anchored on engines with CCRL 40/4 ratings. Will be adding some tests from time to time. 64x6 is not really far behind. 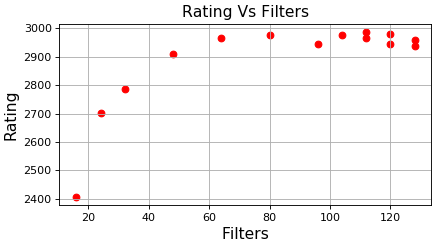 Created a multiple linear regression test on that data to possibly approximate the rating based on filters and blocks as independent variables. Same data sorted by Filters and Blocks in descending orders. Then use sklearn regression to get intercepts and coefficients. Not perfect but perhaps prediction accuracy increases as more data will be available.